Watch github events in more-or-less real time as we display a word cloud of events, project descriptions, and project languages. This article also reveals a couple tricks that need to be employed to obtain a GitHub access token with C#/.NET. If you’re stuck trying to figure out server response errors, read this article! 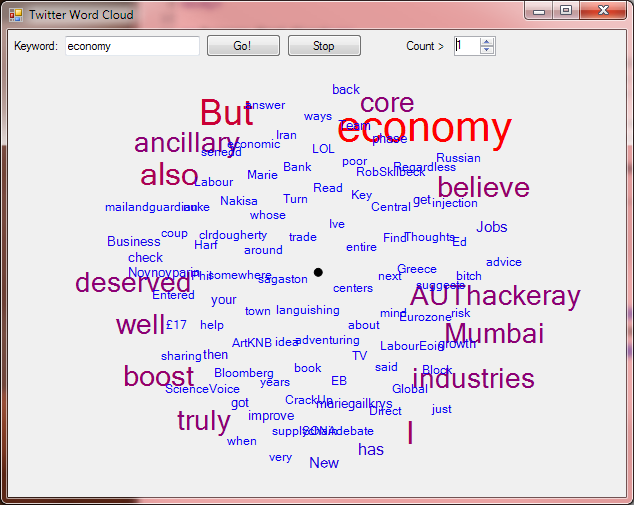 Using a couple open source packages, I glue together a tweet stream and display the word hits in a word cloud using a force directed graph.